As an MBA candidate at Fuqua, Colin is focusing on strategy. This summer, he worked at Deloitte in New York, where he advised client organizations undergoing culture and human resources transformations. At Fuqua, Colin serves as the co-president of the Human Capital Club. He is also a Coach K Center on Leadership and Ethics Fellow and a member of the MBA Association Diversity Subcabinet. During his first year, Colin represented Fuqua at the National MBA Human Capital Case Competition sponsored by Deloitte and HP Inc. 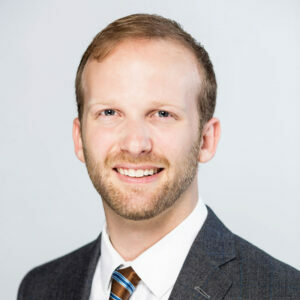 Prior to Fuqua, Colin spent nine years working for Singapore’s Ministry of Education (MOE), working as a high school teacher, national curriculum planner, and head of talent development, working with students, fellow educators, and schools to achieve 21st-century educational outcomes. Prior to MOE, Colin studied history at Princeton University. After Fuqua, Colin plans to continue preparing organizations and their workforces for the changing nature of work. In his free time, he enjoys golf, travel, and time with friends and family. Sahar is a Kellogg MBA candidate leveraging her international experience in healthcare marketing to drive social innovation in global health. Before her MBA, Sahar was a senior brand manager at Johnson & Johnson U.K. where she learned the importance of healthcare quality in societal development. Her Tanzanian and Indian heritage exposed her to inequalities in healthcare access and inspired her long-term goal to serve these communities. In this pursuit, she interned at Jacaranda Health and created a sustainable business model for their nurse development and mHealth programs, which improve maternal and newborn health in Kenya. At Kellogg, Sahar is Net Impact Club’s co-president, and she recently traveled to Tanzania with her medical devices class to commercialize innovative neonatal care technologies. Sahar was born in Vancouver, Canada, and graduated with a BCOM & BA from Queens University. She enjoys getting lost in a great book and adding stamps to her passport. 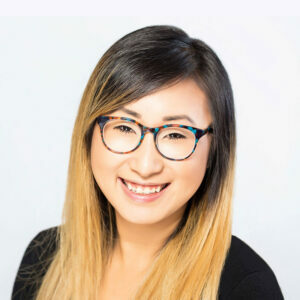 As an MBA student, Wendy is focused on strategy and operations. She is also a fellow at the Tauber Institute for Global Operations. At Ross, she serves as the VP of operations for the Community Consulting Club and VP of club relations for the Business Analytics Club. This past summer, she interned at Amazon, where she developed strategies to reduce logistics costs and carbon footprint while improving customer experience. Prior to Ross, Wendy worked in operations at Target Corporation, where she developed and implemented company wide back-to-school supply-chain strategies. Outside of work, she volunteered as the director of test prep for Minds Matter, which serves high school students from low-income families. Wendy holds a dual BA in economics and mathematics from Northwestern University. An advocate for diversity, Wendy is planning a career that will inspire more women to join the field of operations. In her free time, Wendy enjoys exploring new restaurants with her husband Tim and spoiling their dog Gracie. Kelly is a student in Tepper’s Business Analytics Track as well as in the Accelerate Leadership Development Certification program. Outside of class, she serves as vice president of the Graduate Business Association, where she helps ensure that students have a voice in their MBA experience. She also belongs to the Academic Committee, Healthcare Club, and Graduate Finance Association. This summer, Kelly interned with DaVita, where she completed a project focused on applying large data to a variety of business decisions. Before Tepper, Kelly spent four years at the Massachusetts Health Policy Commission, a government agency dedicated to healthcare cost containment. As the deputy chief of staff, Kelly supported the agency’s operations and senior leadership team. She holds a BA in environmental studies from Wellesley College. Following Tepper, she hopes to accept a mission-driven role that combines her passion for data and healthcare. In her free time, Kelly enjoys hiking and experimenting with new chocolate chip cookie recipes. 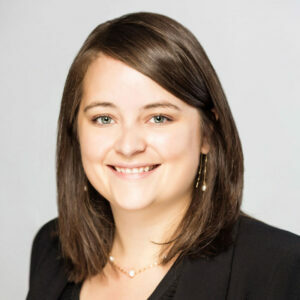 During her first year at Wharton, Lindsay completed two fellowships with the Wharton Social Impact Initiative, evaluating the Philadelphia impact investing landscape and the broader social enterprise ecosystem. 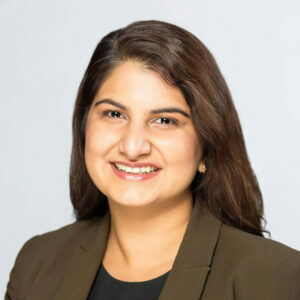 Outside of class, she is a William P. Lauder Wharton Leadership Fellow, part of a community of second-year MBA students who mentor, coach, and support first-year students, as well as a mentor with GUIDE, a mentorship program connecting Wharton MBAs and undergraduates. She is also a member of the Deans’ MBA Advisory Council, and she serves on the Wharton MBA Private Equity & Venture Capital Club executive board. 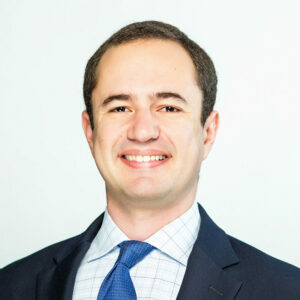 Prior to Wharton, Lindsay worked as an investment banking analyst at Morgan Stanley and as an associate at Crestview Partners, a private equity firm. She was a mentor coach with America Needs You, which supports high-potential, low-income, first-generation college students. She recently completed an internship at Stash, a digital-first financial services company committed to making saving and investing accessible to everyone across the U.S. She holds a BS from the Charles H. Dyson School of Applied Economics and Management at Cornell University. In her free time, Lindsay enjoys traveling abroad and exploring the Philadelphia food scene. As an MBA candidate, Faina is pursuing certificates in finance and sustainability. At Sloan, Faina is co-president of the MIT Impact Investing Initiative, VP of the MIT Food and Agriculture Club, and a teaching assistant. In her first year, she was a fellow at the MIT Office of Sustainability. This summer, Faina worked in the Investment Management Division at Goldman Sachs. 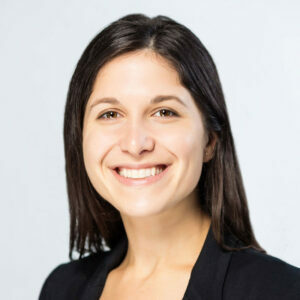 Prior to Sloan, Faina managed social due diligence at Root Capital, a nonprofit impact investment fund focusing on small agricultural businesses in Latin America and Africa. 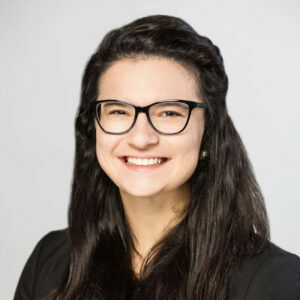 Before Root, Faina was the sales and training officer for the Organisation for Economic Co-operation and Development’s proprietary research platform in North America. Faina holds a master’s in economics and a bachelor’s in economics and international relations from Boston University. After Sloan, Faina hopes to leverage financial innovation to create positive social and environmental impact. Born in Ukraine and fluent in Russian and Spanish, Faina enjoys growing vegetables in her local community garden and learning new languages. At Columbia, DJ focuses on business analytics. He’s passionate about financial inclusion through innovative payments and lending products powered by cutting-edge data science. He is the president of Columbia FinTech and vice president of CBS Data Analytics Club. This summer he interned at PayPal, where he led and managed cross-functional teams to create marketing products that help small business owners increase their sales and customer acquisition. DJ started his career at a data science consulting firm, Inductis in India, where he helped large credit card issuers define their merchant-acquisition strategy. 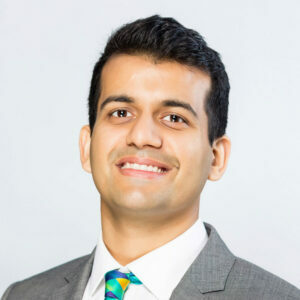 Relocating to the U.S., he worked for Swift Financial, a Khosla Ventures-backed FinTech startup that specialized in providing transparent and convenient small business loans. Born and raised in New Delhi, DJ hopes to create a FinTech lending firm based in India and offer small business owners user-friendly and customizable products. At Booth, Max is studying strategy and general management and is passionate about improving healthcare delivery. He is co-chair of Booth’s Giving Something Back group, a club that tutors southside Chicago high schoolers in math and business. This summer, he interned at The Chartis Group, a healthcare-focused consulting firm. 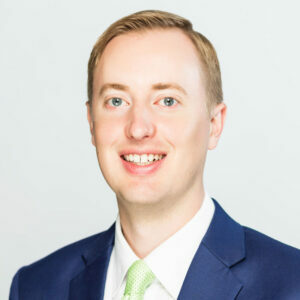 Prior to Booth, Max received a BA in economics from Tufts University and worked for The Amundsen Group (now a division of IQVIA), a Massachusetts-based consulting firm that provides strategy and analytics services to U.S. divisions of pharmaceutical manufacturers. It was through this experience that he developed a profound interest in the U.S. healthcare market. A native of Westborough, Massachusetts, Max is a big Boston sports fan with the exception of the Red Sox, unless they’re playing the Yankees—as he puts it, “It’s a long story but suffice to say that October 2004 was a rough time for me.” In his free time, he enjoys skiing, golfing, and listening to music, classic rock in particular. Kristin is a dual degree MBA/MPA candidate at Tuck and the Harvard Kennedy School. She spent her summer as an intern at McKinsey & Co., working within the RTS practice on large corporate transformations. At Tuck, Kristin helped launch the first Emerging Markets Conference, which brought developing market perspectives and innovations to campus. She is a fellow with the Center for Private Equity and with the Center for Digital Strategies and serves on Tuck’s student board. 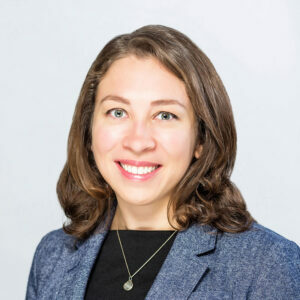 After graduating with an AB in environmental science and public policy from Harvard College, Kristin worked in corporate strategy and global development at CEB, an advisory company. Prior to CEB, Kristin worked in Tanzania with 2Seeds Network, a nonprofit focused on small business incubation in farming communities. Later, Kristin served on 2Seeds’s board of directors. Kristin hopes to work in sustainable economic development in emerging markets. She enjoys hiking, skiing, kayaking, and traveling, as well as visiting her family in Wyoming, where she backpacks with the family’s llamas. Max is a dual MBA/MSFS candidate at Georgetown’s McDonough School of Business and Master of Science in Foreign Service program. Max interned this summer at Cognizant Business Consulting. Max serves as VP of the Georgetown Human Capital and Leadership Club, president of the Craft Brewing Society, Peace Corps Paul D. Coverdell Fellow, and volunteer for the Social Impact Internship Fund. He has also completed a fellowship with PwC, looking at the impact of the gig economy on the consulting industry. Prior to Georgetown, Max served in the Peace Corps in Morocco, where he trained health professionals on how to design and lead community education campaigns. After Morocco, he worked for PYXERA Global in Washington, D.C.
After graduation he hopes to help transform the workforces of companies, cities, and countries into drivers of economic growth. He approaches this and all other challenges with a multidisciplinary perspective gained while studying philosophy, politics, and economics at Claremont McKenna College. Hailing from Davis, California, Max enjoys podcasts, live music, tennis, and travel.